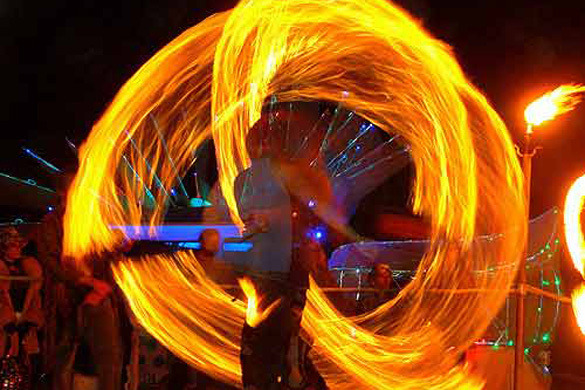 Burning Man is an art festival where fire is an essential element of the event. Not only does the Man eventually burn, but fire is used as an art form throughout the week. Some of the flame effects are hundreds of feet tall, with fireworks, explosions, and colored effects. Some are hand-held “poofers”. The resulting effects each evening are staggering. All artwork is copyright of the artists. Website ©2008 SVAM.